Mobility | The IT Melting Pot! What if you were able to achieve both efficiency and innovation in your business domains and applications across your entire portfolio? What if you could take advantage of the cloud and all its resources and features? With a good road map and strategy, you can. 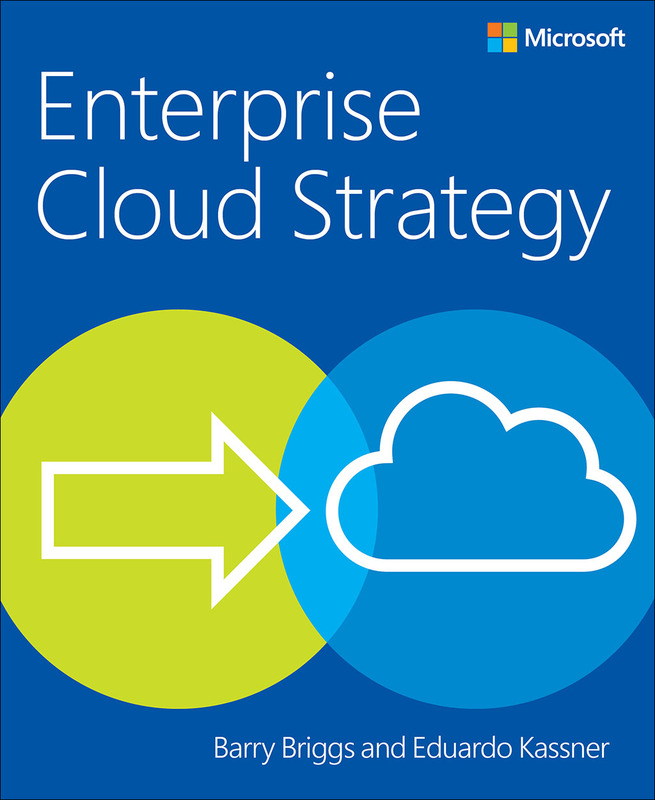 Download the free e-book, Enterprise Cloud Strategy, and find ways to build your own road map to success. Microsoft recently announced a new partnership with OpenAI, a nonprofit AI research organization co-founded by Elon Musk, Sam Altman, Greg Brockman and Ilya Sutskever. Together we hope to make significant contributions to advance the field of AI, and make it more accessible to every developer and every organization. Read more about the partnership and why OpenAI chose Azure as the primary cloud platform from Harry Shum, Microsoft Executive Vice President of AI and Research and Sam Altman, co-founder, OpenAI (and be sure to watch the video about why they chose Azure). Also, visit the Azure Blog for more information. Missed the Microsoft Connect(); developer event? Catch up on all the news and keynotes or dive right into any of the technical sessions on Visual Studio, .NET, Xamarin, DevOps, Azure, Data with Intelligent Apps, UWP, developing for Office and more! Browse the on-demand content. G-Series instances are available in Azure Cloud Services in all regions where G-Series instances for Azure Virtual Machines are currently offered. They feature the latest Intel Xeon processor E5 v3 family and provide unparalleled computational performance, substantial memory, and robust local solid-state drive (SSD) storage. 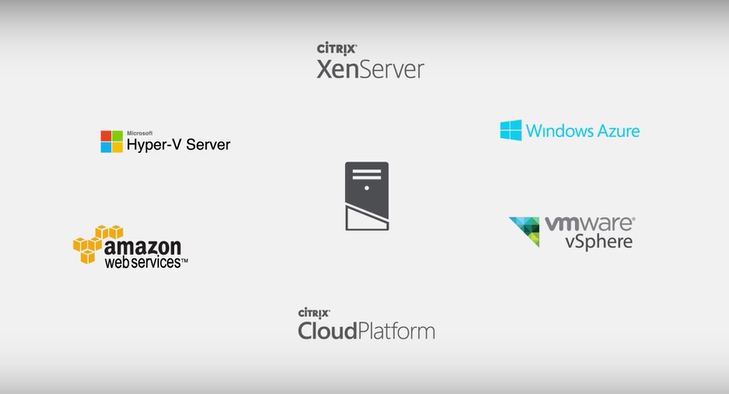 VMware backup in Azure Backup helps protect virtual machines running on the VMware platform, on-premises or in the cloud. If you run backups on-premises, this new capability helps you meet requirements for operational recovery. If you back up your information to the cloud, you can meet long-term compliance rules and have an offsite copy of your data. For more information, visit the Operations Management Suite | Protection & Recovery webpage. You can use In-Memory OLTP, a feature of Azure SQL Database, to achieve incredible performance gains (up to 30 times) for transaction processing and data ingestion in Premium databases, with no or minimal changes to the application. Memory-optimized tables, memory-optimized table types, and natively compiled T-SQL modules are now available in all Premium databases, including databases in Premium elastic pools. For more information, read the Microsoft Azure SQL Database provides unparalleled performance with In-Memory technologies blog post. For applications with compliance or operational requirements to retain data, Azure SQL Database now offers Long-Term Retention (LTR). With just a few clicks, you can easily enable your databases to create weekly backups stored in your own Azure Backup vault and extend the retention period built into SQL Database from 35 days to up to 10 years. The backups in the vault are restorable and are automatically deleted after your configured retention period. For more information, visit the Azure Blog. Azure Content Delivery Network is a multi-CDN platform that offers massively scalable, secure delivery of content with accelerated performance. New capabilities include the ability to set up real-time alerts about delivery anomalies, such as bandwidth and cache status, and a mobile rules engine where you can customize rules and features targeted to mobile devices, such as device model and operating system. Visit the Azure Blog for more information. Azure Active Directory Domain Services offers scalable, high-performance, managed services such as domain join, LDAP, Kerberos, Windows Integrated Authentication, and Group Policy support. With the click of a button, administrators can enable managed domain services for Linux and Windows virtual machines and directory-aware applications deployed in Azure infrastructure services. By maintaining compatibility with Windows Server Active Directory, Azure Active Directory Domain Services gives you an easy way to migrate traditional on-premises applications to the cloud. 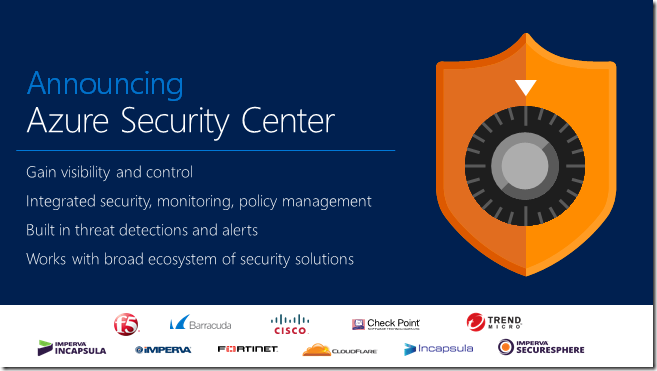 Azure HDInsight has several new key security capabilities. It integrates with Azure Active Directory and Azure Active Directory Domain Services for enterprise-grade authentication and identity management. HDInsight also integrates with Apache Ranger for a central policy and management portal where administrators can maintain fine-grained control policies over Hadoop data access, components, and services. Data processed by HDInsight is stored in Azure Data Lake Store or Azure Storage. Both offer server-side encryption to secure data at rest. Azure Data Factory allows you to bring data from a rich variety of locations into Azure for advanced analytics and predictive modeling. We recently added support for FTP/S, Amazon S3, Amazon Redshift, and Parquet file format. Load speeds have also been greatly enhanced: you can now load into Azure SQL Data Warehouse at 1.2 GBps and load into Azure Data Lake Store and Azure Blob Storage at over 1.0 GBps. Built on the proven analytics engine in Microsoft SQL Server Analysis Services, Azure Analysis Services delivers enterprise-grade Business Intelligence semantic modeling capabilities with the scale, flexibility, and management benefits of the cloud. For more information, visit the Azure Blog. If you have any questions about this acquisition or if you need assistance with your mobile app development contact us at EnvokeIT! 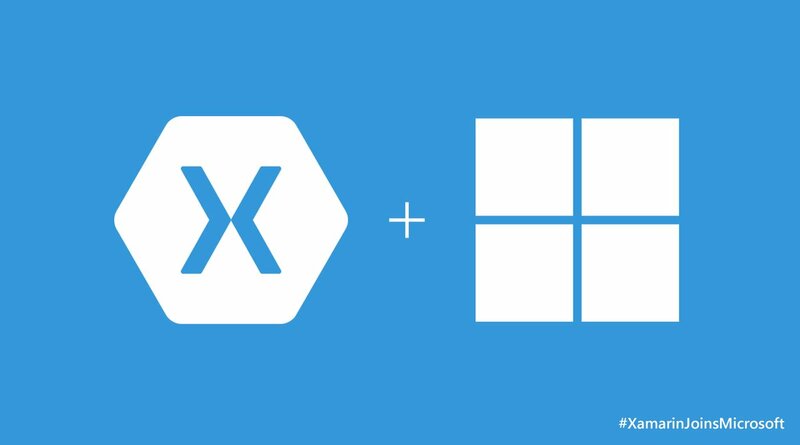 Xamarin has more than 15,000 customers in 120 countries, including more than one hundred Fortune 500 companies – and more than 1.3 million unique developers have taken advantage of their offering. Top enterprises such as Alaska Airlines, Coca-Cola Bottling, Thermo Fisher, Honeywell and JetBlue use Xamarin, as do gaming companies like SuperGiant Games and Gummy Drop. Through Xamarin Test Cloud, all types of mobile developers—C#, Objective-C, Java and hybrid app builders —can also test and improve the quality of apps using thousands of cloud-hosted phones and devices. Xamarin was recently named one of the top startups that help run the Internet. I really love the way that Microsoft and Azure delivers! It’s so amazing with all the PaaS and SaaS offerings they now have on top of the traditional IaaS delivery. There is no other cloud provider out there that delivers anything near it! I’m amazed and so happy to be a part of this journey! If you didn’t have the time to look at AzureCon you have a lot of great videos and topics to go through!! This is awesome! I just love what Microsoft is doing with all the cool Azure offerings! That’s also why I’ve been digging deeper into this area lately and also took the Microsoft Specialist – Architecting Microsoft Azure Solutions exam and been playing around with Azure AD, DirSync and ADFS a lot. Now with the whole release of Windows 10, Azure AD, Intune, ADFS and System Center we’re going to have a lovely story going forward with how to do client management going forward, just take a Windows 1o device, join it through Azure AD, Intune and federation and then sign in using your on-premise AD credentials. On top of that you can also then leverage Azure AD or federation with it for your SaaS apps as well and with SSO, and why not use the Azure connector to make your on-premise web apps available on the Internet with authentication as well! Gartner just released their Magic Quadrant for Identity Management as a Service (IDaaS) and after only ~10 months in market, Azure AD premium was placed in the “Visionary” quadrant, far to the right of our competitors for our completeness of vision and our ability to execute, only slightly below companies with established, multi-year track records. If you are a Gartner client, you can find the report here. We will have a complimentary copy to share soon, so please check back. We’re really pleased with this result. We believe it validates our vision of providing of a complete solution for hybrid identity management, a solution that includes not just a directory and employee identity management, but full suite of identity capabilities, an integrated device management offering (Microsoft Intune), leading edge information protection (Azure RMS) and a robust set monitoring and security capabilities. I am especially delighted by this validation because it says a lot about our customers, implementation partners and ISV partners who have worked together with us. They have been awesome about sharing their time and energy every day, to make sure that the products and services we build meet their needs and are helping them position their companies to thrive in the emerging world of cloud and devices. Thsi week Microsoft is going to roll out some new updates like Android Wrapping Tool and new features for iOS, Android and Windows Phone to Microsoft Intunes. Contact us at EnvokeIT if you like assistance with Intunes or continue reading the blog post here.